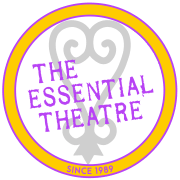 The Essential Theatre is a non-profit, professional theatre dedicated, but not limited to producing theatre reflective of the African-American experience that explores and celebrates America's rich, diverse cultural landscape. Paramount to the company’s mission is the implementation of programs for youth in Washington , DC 's metropolitan area that promotes interdisciplinary education and positive levels of self esteem. Founded in 1989, the company hosts a play development program, The Essential Theatre’s New Play Reading Series, the Children’s Program in Public Schools and the Women’s Works Program. The company also maintains a relationship with area Social Services programs in an effort to provide job training opportunities. Professional theatre company; develops new plays, offers public engagement and community-based cultural enrichment programs for Washington, DC, Metropolitan area youth that promotes interdisciplinary education. THE ESSENTIAL THEATRE accepts donations. Donate Now. Would you recommend THE ESSENTIAL THEATRE?